Coming in 2019...... A Mermaid themed beauty salon, specialising in Acrylic Nails, Laser Tattoo Removal, Spray Tanning, Make-up and beauty services. Watch this space for further details and updates! But for now, head to the FACEBOOK page or INSTAGRAM account for news and pics! 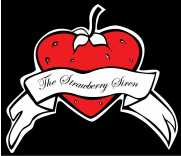 strawberry siren is currently taking nail clients/models in adelaide. to book an appointment please fill in the details below.